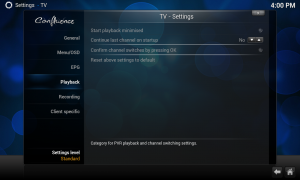 Enjoying TV in KODI takes 2 steps only & it’s so simple. Live TV is now setup and ready to use. 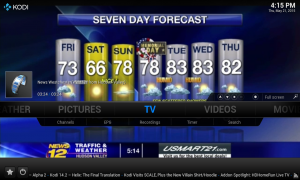 A TV link should now appear in the home menu. Restart your KODI enjoy the streaming TV channels now. More Options – Record too! 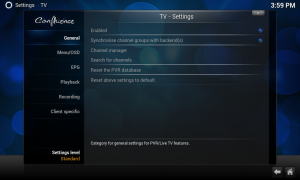 This entry was posted in gnu, linux, technology and tagged gnu, kodi, tech, technology, tv, xbmc. Bookmark the permalink.